Goodreads says, "International bestselling author Gayle Forman's trademark humor and insight abound in this masterful adult debut, showing us that sometimes you have to leave home in order to find it again. For every woman who has ever fantasized about driving past her exit on the highway instead of going home to make dinner, for every woman who has ever dreamed of boarding a train to a place where no one needs constant attention--meet Maribeth Klein. A harried working mother who's so busy taking care of her husband and twins, she doesn't even realize she's had a heart attack. Afterward, surprised to discover that her recuperation seems to be an imposition on those who rely on her, Maribeth does the unthinkable: She packs a bag and leaves. 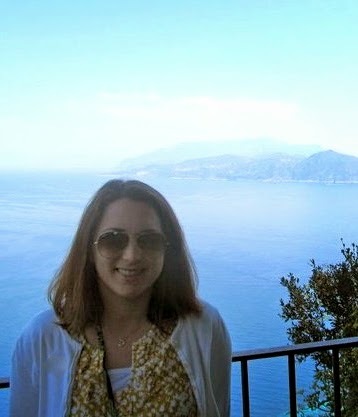 But, as is so often the case, once we get to where we're going, we see our lives from a different perspective. Far from the demands of family and career and with the help of liberating new friendships, Maribeth is finally able to own up to secrets she has been keeping from those she loves and from herself. With big-hearted characters who stumble and trip, grow and forgive, Leave Me is about facing our fears. Gayle Forman, a dazzling observer of human nature, has written an irresistible novel that confronts the ambivalence of modern motherhood head-on." Maribeth Klein is a mother than many of woman can relate to. She is overworked, under appreciated, and can't seem to catch a break. She's busy at work and busy at home; it's never-ending. That is until one day she starts to have some strange symptoms; indigestion, nausea, exhaustion and while at the doctor's she comes to find out that she is having a heart attack. She didn't even know she was having one! She comes to find that she needs surgery and to add fuel to the fire, there are some complications. After her surgery, she is supposed to be taking it easy and eating healthy, but life keeps marching on and her kids need her. Instead of her husband and her mother stepping up to the plate to help her out, she realized that her recuperation is actually harder than being at work. She decides to leave it all behind: her kids, her needy husband, and her ridiculous mother. 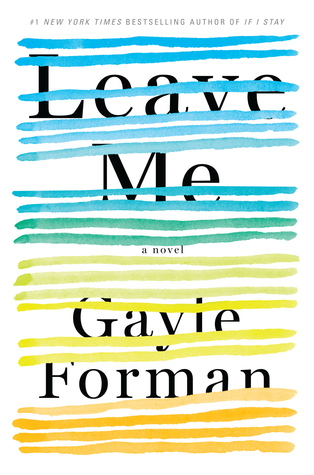 Leave Me by Gayle Forman, her adult debut, is a novel that many mothers can relate to whether you disagree with Maribeth's choices or not. The first fifty pages of Leave Me were really, really hard for me to read. I almost put it down for good, not because I found Maribeth to be upsetting, but because Forman's writing was so realistic and her description of surgery was so realistic that it brought back some bad memories for me. I personally could connect to this aspect of the story as I just had three surgeries in two months and it's hard to recuperate and take care of your kids. A mother doesn't get a day off or a sick day, but if you have a supportive husband and supportive family, they can help you out. But in Maribeth's case, her husband is just as bad as one of the kids. I really couldn't stand him. Her mother, while there to help, wasn't exactly helpful all the time. So, I started to get stressed out along with Maribeth. One thing is for sure: Forman gets the push and pull of motherhood. The endless demands and how mothers often have to put themselves last, even when they should put themselves first, like in Maribeth's case. When Maribeth leaves, she hides out in Pittsburgh, not only to take some time for herself, but to also figure out who her birth mother is. So, she goes on an emotional journey as well as a physical one in Leave Me. While I didn't care for this subplot as much as the other, I still found it interesting. But Leave Me is important because I think it's a reminder that as mothers we can't do it all. We can't. Something always has to give and it's not always bad to put your needs first once in a while. In fact, it's healthy! Now I am not saying I agree with Maribeth's decision to leave her family behind, but I understand why she did. I think Leave Me is also a reminder that even though women have come a long way in many situations it's still not exactly fair in both the workplace and the home. Women have more pressure placed on them than men when it comes to family life and oftentimes women are expected to have it all figured out and have everything perfect. But that's not life. Life is messy and Leave Me captures that very well. Forman is a talented writer and although Leave Me wasn't my favorite of her novels, I still cared about Maribeth. That is a testament to Forman's writing; she always makes me care for her protagonists even if I don't always agree with them. 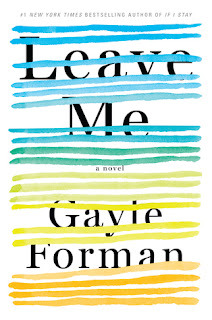 If you are looking for a smart novel and one that lends itself to much discussion, I recommend Leave Me. It would also be a great novel to read with a book club as I'm sure everyone will have an opinion regarding Maribeth's choices. 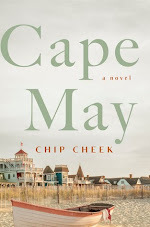 Thanks to Algonquin Books, I have an extra ARC to give away to one lucky US reader. Please refer to my giveaway rules and the deadline is September 27th. Good luck! I've been burned by her last few releases (she just hasn't been the same since If I Stay) so I've been hesitant to get on the bandwagon for this book. And while it sounds a bit difficult to get through at times, I'm very curious to see how realistic and how well she does with this new endeavour. I agree. If I Stay is my favorite. I think as a mother you'd appreciate this novel, Joy, even if you don't agree with the protagonist. Thanks for visiting! I have this book waiting for me to read! Another way to interpret the same quote is: “Each ophthalmic product was manufactured under conditions validated to render it sterile in its final container for the shelf life of the product” (Missel, 2009, p. 101), look at cite a quote here.